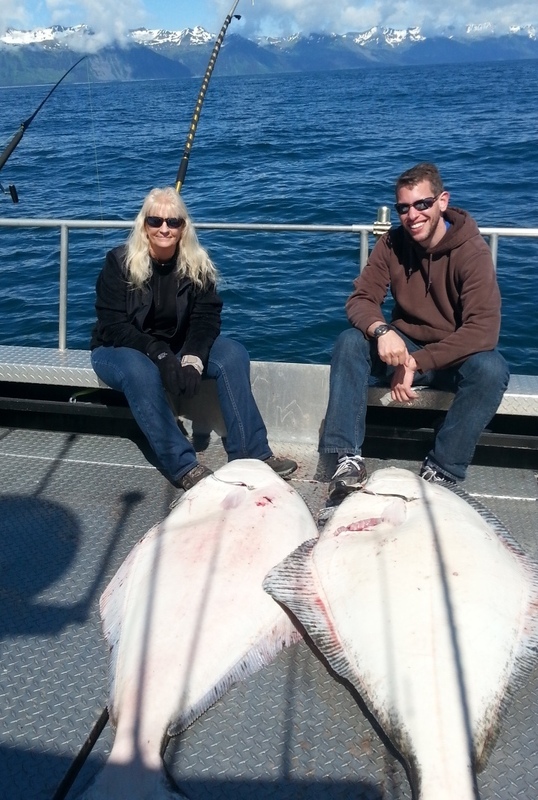 We offer two types of halibut fishing trips: a 12-hour day trips and an overnight/2-day trip. These trips depart at 6AM and return by approximately 6PM. 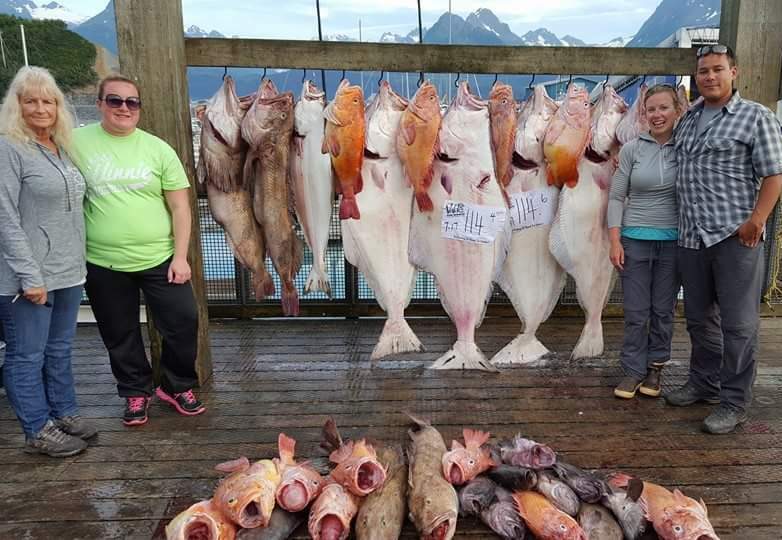 The typical distance to the fishing grounds on this trip is 60 to 100 miles from Valdez. On average this is a 3 hour boat ride to the fishing, so you get about 6 hours of fishing and 6 hours of cruising. On a typical trip we will anchor the boat at a fishing location and catch and release halibut until we get our limit. After the boat has limited out on halibut we may try to catch additional rockfish, lingcod, or salmon if time permits. These trips depart at 6AM and return by 6PM of the next day. This trip allows you to get further offshore to the best fishing locations. The typical distance on this trip is 80 to 120 miles from Valdez. On average this will be a 4 hour boat ride to the fishing, so you may get 24 hours of fishing and 8 hours of cruising. 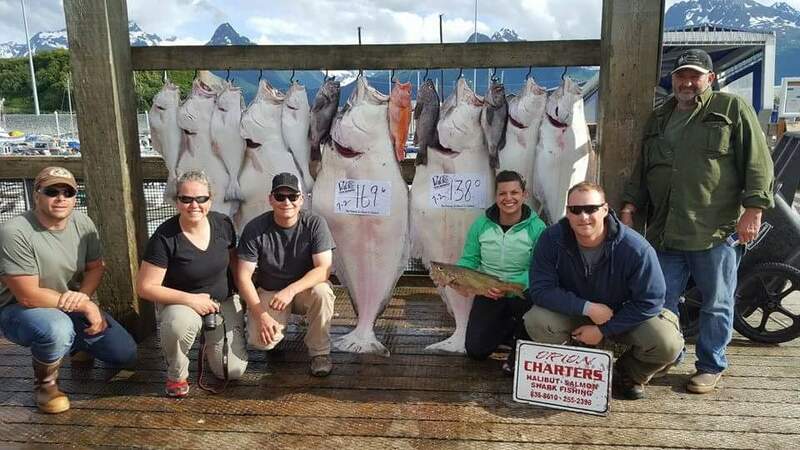 This trip offers the best chance to catch big halibut. While on a 12-hour trip you will get to fish one tide change, on the 2-day trip you may get to fish 4 tide changes. This allows you to be much more selective in which halibut you keep. 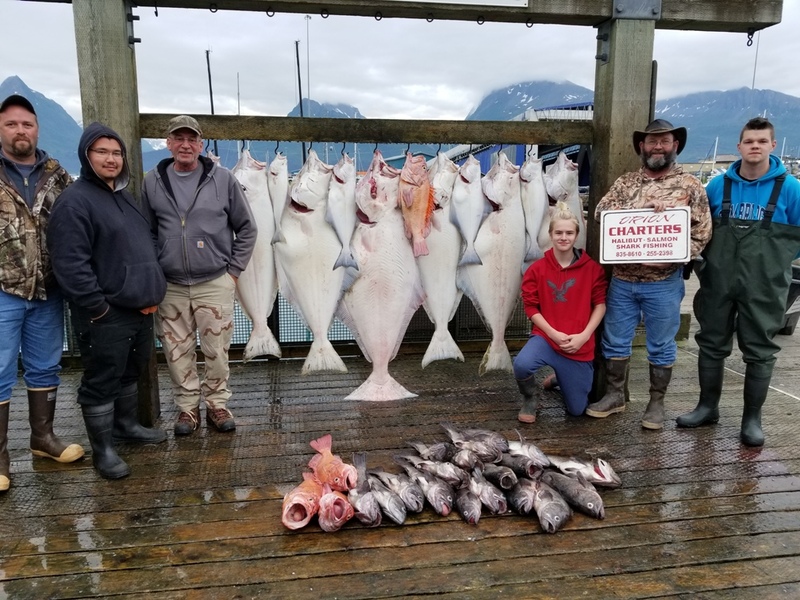 We will try to put you on a spot that has the best opportunity to catch big halibut. We will not pressure our clients to keep small fish. You can catch and release until the end of the charter if you like. 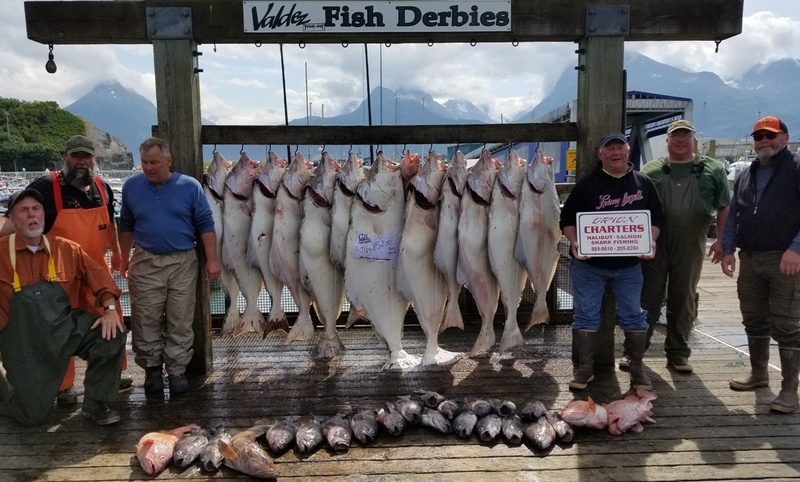 Our charters target halibut. They are not "combo trips". Your not going to catch the derby winner if you keep the first 50#er that you catch. Also, if you spend time trying to catch rock fish and ling cod or salmon that is that much less time that you have to catch a big halibut. 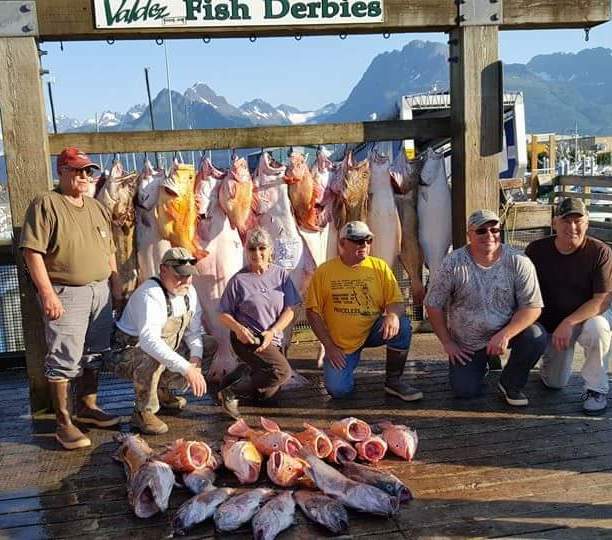 You can keep any rockfish, ling cod or salmon that you catch while halibut fishing as long as they are legal. The current fishing regulations allow for one halibut any size and one halibut 28" or less in our fishing area (3A). A reasonable expectation for an any size halibut is 50 to 100#. Catching and releasing halibut of this size usually does not harm the halibut. It is our viewpoint that catching the baby halibut (<28") is a poor management practice. While catching mature halibut does little to no harm to most fish, catching the baby halibut causes a high mortality. In areas where there are numerous small fish (chickens) you normally have to catch several before you can get one that is small enough to be legal to keep. With the baby halibut the circle hooks that we use instead of hooking in the lip, can hook through the eye or brain which cause a high mortality. The live weight of a 28" halibut is only about 7#. 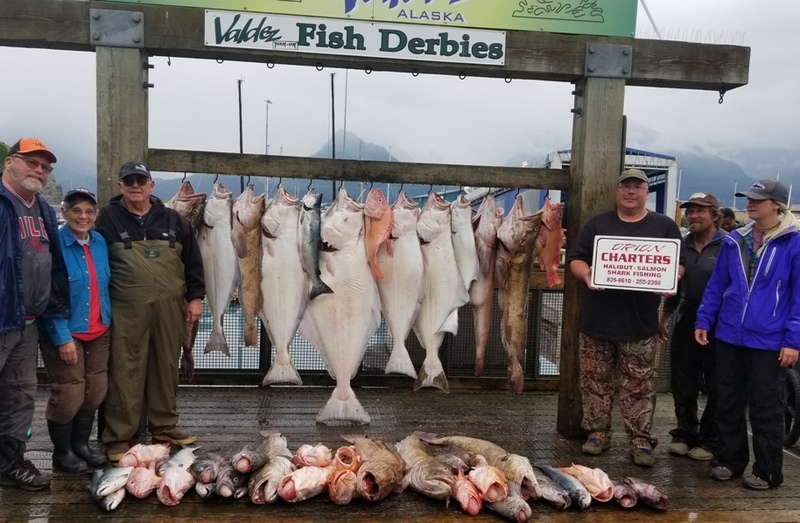 If everybody on the boat tries to catch their "little" halibut we may have to catch and release 10, 20 or 30 before we can get the legal ones. 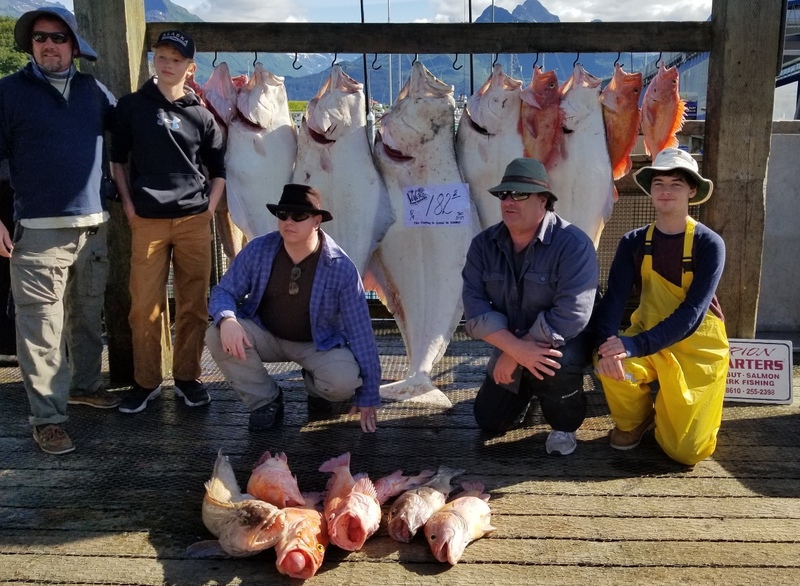 Six legal <28" halibut only have a live weight of about 40#. 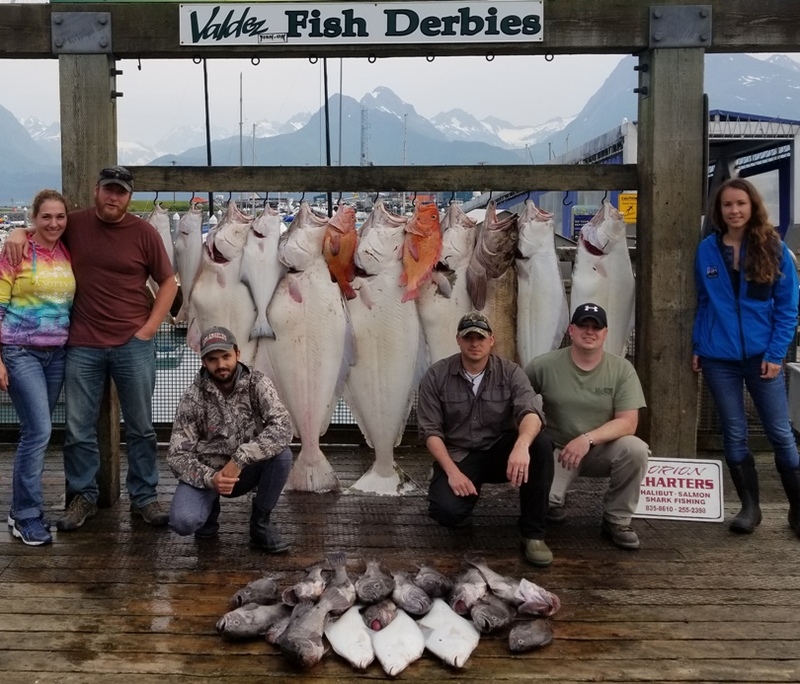 Instead of catching and releasing the babies, if you stay in a big fish spot and catch and release we will almost certainly return with more pounds of halibut at the end of the trip. Also and perhaps more importantly we will not be wasting the future stocks. Here are some pictures of nice catches from the last few years. Overnight trip July 23/24, 2017. August 8,2017 Nice catch. Wish I could see the one that got away. This page was last updated on 12/09/17.